These EFA’s found in seeds balance and regulate energy production, blood circulation, nerve function, inflammation, hormone regulation, recovery from exercise, immune function, cell growth, and much more. A diet high in animal products and processed foods is high in omega 6’s which compete for the same metabolizing enzymes needed by the omega 3’s for assimilation. Most people’s diets don’t contain enough omega 3’s which upsets the important balance required for good health. When omega 6’s are consumed in excess they use up the metabolizing enzymes making them unavailable for omega 3 metabolism. Research shows that eating seeds and the EFA’s they contain can elevate mood, improve brain function and development, and build a healthy circulatory system to name just a few. I think you can see now how including edible seeds in your daily diet can go a long way in improving your health. 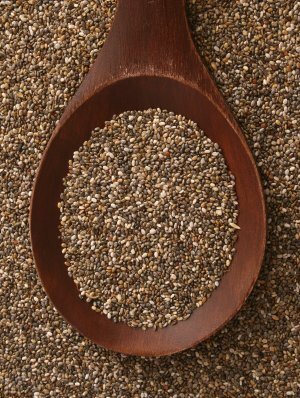 Flax seeds (aka linseed) – high in lignans, a phytoestrogen that have been called natural cancer-protective compounds, anti-inflammatory, laxative, soothing for the digestive tract, 3 to 1 ratio of omega 3 to omega 6, folate, B1, B2, B3, B5, B6, copper, iron, magnesium, manganese, phosphorus, potassium, selenium, zinc, lecithin, all 8 essential amino acids, protein, fiber, grind just before use. One heaping tablespoon provides 2 grams of ALA, which meets your daily omega 3 fatty acid requirement. This is the end of the list of edible seeds. To see other lists of raw foods go to the links below.